Teaching and Mentoring all Ages and Abilities from Complete Beginners to Experienced Players. You can learn to play by ear or take theory and grade exams, develop your reading and progress into improvisation all at your own pace. 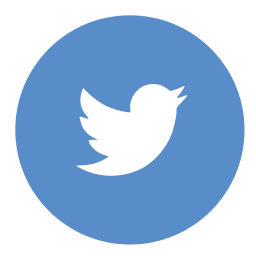 I specialise in inspiring and working to your goals either as a hobby or to take further if you want. With a fully equipped studio available you can also monitor your progress and learn recording techniques. I also offer tuition on various music programs including Cubase, Sibelius and many music based apps. I’m qualified and fully CRB checked. All my exam students have achieved a 100% pass rate of which over 50% have achieved a merit or distinction. I teach mainly the ABRSM Jazz exams as I feel these exams teach the student many useful and useable skills which some of the other exams certainly do not! I am a professional gigging sax player and i think its important to have lessons from someone who can not only teach, but play on stage too! 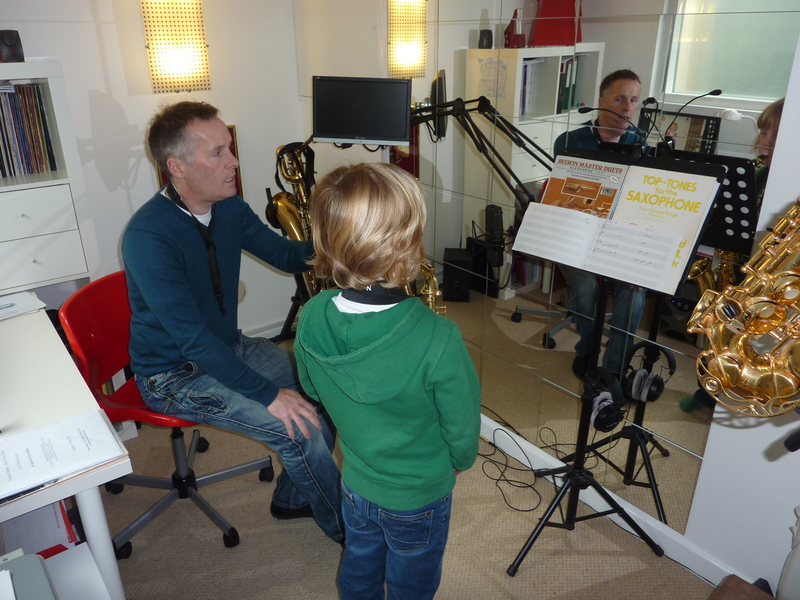 If you are interested in Saxophone lessons with me at my purpose built soundproof studio in Ferring simply email or call me. For a comprehensive list of all things related to learning to play saxophone, click here. I have been attending lessons with Steve for about a year after previously studying a ‘classic’ portfolio which, whilst beneficial, wasn’t taking me in the direction I wanted to go. It’s probably fair to say that if I hadn’t met Steve I would have given up the sax. 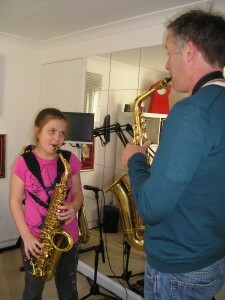 Steve is very knowledgeable both in practice and theory and brings a phenomenal amount of experience to each lesson. He is very generous with his time, incredibly patient and encouraging – my family say they have noticed a vast improvement in my playing / confidence since working with him. He has a great sense of humour which I find very appealing. 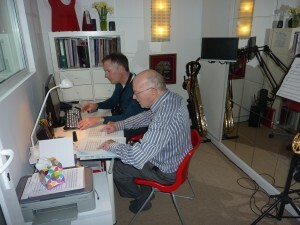 Lessons take place in custom built, soundproofed studio. There are facilities for recording which is so helpful if you want to measure your progress. In my opinion he is more than a tutor; he’s a musical friend. 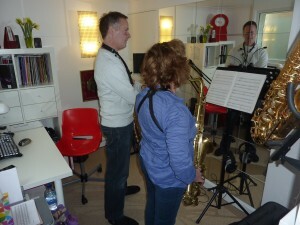 I hadn’t played my saxophone for (at least) 18 years when I, nervously, arrived for my first lesson with Steve Turner. He put me instantly at ease and had me laughing within minutes! His knowledge, enthusiasm and passion for music is impressive and his teaching style is so exciting and uplifting, that I came away absolutely buzzing. I enjoy my lessons immensely! He is endlessly patient and encouraging and my confidence is growing steadily under his instruction. Steve is not your average teacher, he is something truly special…he even makes learning scales enjoyable! As a beginner i wasted the first 8 months with other teachers before meeting Steve Turner. In the last 16 months with Steves encouragement and guidance (and a lot of hard work) I am now playing on stage with proper musicians. Likeable and modest about his achievements in the sax world, he has a wealth of experience to pass on. I would recommend new students to make use of his live performance experience as well as the technical side. Despite playing on the big stage with world famous artists like Madness, Steve was humble enough to give up a Saturday morning to take a bunch of his students busking in Brighton, just for the fun of it . Highly recommended. "Clare and I would just like to say thank you so much for your set at our wedding yesterday. All of our guests loved it and said it created a lovely atmosphere out in the gardens. If anyone needs a saxophonist in the future I will tell them I have the perfect man for the job." Clare and Richard. Cisswood House Hotel.